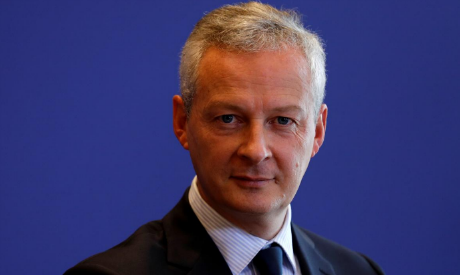 France's Minister of Finance Bruno Le Maire is set to arrive in Egypt Sunday in preparation for an anticipated visit by French President Emmanuel Macron later this month, the state-owned MENA agency reported. Le Maire is set to hold meetings with Egypt's Prime Minister Mostafa Madbouly and economic portfolio ministers. On Friday, the French Embassy in Cairo said the French minister will meet also with Egypt's President Abdel-Fattah El-Sisi. According to the embassy statement, Le Maire will convey to Egyptian officials France's wish to foster and diversify economic ties between the two countries. El-Sisi visited Paris in October 2017 where he discussed with Macron joint efforts to combat terrorism, the Middle East peace process, and the situation in Libya.